Online Bachelor’s degrees in Communications enable students to seek a wide-variety of careers for various industries and corporations. Skilled professionals that hold one of these degrees are in very high demand due to the unique obstacles many corporations face when it comes to keeping in touch with the public. Professionals with a Communications degree are the public faces and voices of these corporations and are responsible for helping them to maintain a positive public image. Colorado State University offers a fully online, asynchronous and accredited Bachelor’s degree program through their Global Campus school. Through their communication program, students will learn oral and written communication, mass communication, public relations, technical writing and all of the skills that they will need to be an effective communicator for an organization. The online Communications program offered has many specializations available for students to choose from, such as: Business Administration, Computer Programming, Healthcare Management, Marketing, Project Management and Entrepreneurship among many others. These specializations will broaden a student’s education and make them more marketable to employers. The Communication program offered at Pennsylvania State University is a Bachelor of Arts in Advertising and Public Relations with a Strategic Communications Option. This degree program is offered fully online and in an asynchronous format. It is also fully accredited. The courses required to graduate cover a wide-range of topics that will ensure that students will have all the tools needed to succeed. These topics include: writing and reporting, research and data analytics, economics and statistics and even social media and gaming. In addition to these topics covered, students will have to complete 12 credit hours of a Foreign Language elective. This requirement will provide students, upon program completion, a stronger edge over their competition in the job market. The online Bachelor of Arts degree in Communications offered at Regent University is offered in a completely online and asynchronous format. This program is also fully accredited, and comes with many specializations available for students to choose from. These specializations include: Rhetoric and Public Culture, Strategic Communications, Journalism, Professional Writing and Technical Writing, Advertising and Public Relations, Organizational Communication and even the Internet and Social Media. The requirements for graduation in this program are: 120 credit hours (which includes 49 credits in general education, 15 in communication core, 21 in a concentration and 35 credits in electives). Bellevue offers two different programs for students to choose from. The first is a Bachelor of Arts degree in General Communication and the second is a Bachelor of Arts degree in Media Communication. Both of these degree programs are available in an online and fully asynchronous format, meaning students can complete their coursework at their own pace, whenever and wherever they choose. These two programs are also completely accredited by The Higher Learning Commission, which is a U.S. Department of Education and a Council for Higher Education Accreditation approved and recognized regional accreditor. The online Bachelor of Arts degree in Communications offered at the University of North Dakota is a fully online, asynchronous and accredited degree program. The program takes a total of 125 credits to complete which takes a minimum of four years to complete. The program is taught in a semester-based format through the use of an interactive virtual classroom. The great thing about the University of North Dakota’s online Bachelor’s in Communications program is the cost per credit hour is the same regardless of whether you’re an in-state student or an out-of-state student, which helps to keep tuition costs low for students. The online Bachelor’s of Arts degree in Communications offered at Drexel University is offered both fully online and asynchronous. This degree program is also fully accredited, and is offered with a focus on both Corporate Communication and on Public Relations. This concentration covers a very wide-range of activities and skills that help organizations address the communication and relationship challenges that arise when dealing with their various publics. Some of these skills that students will obtain over the course of this program include: Professional Journalism, Mass Media, State-of-the-Art Technologies in Communication, Public Relations and Publication Design. The online Bachelor of Arts degree program in Communication offered at Florida International University is available in an asynchronous and fully online format, and is accredited. This Communications degree program has an Organizational Communications focus, and will provide students with all of the skills needed to succeed in a career in communications. These skills include Public Speaking, Business Communication and Professional Communication and Interpersonal Communication to name just a few. The program has a 120 credit requirement for completion. The online Bachelor of Arts degree program in Communication offered through the University is available in a fully online and asynchronous format, and is completely accredited. This Communications degree program comes with three different specializations that students can choose from. These specializations are: Communications General Studies, Organizational Communication and Public Relations or a Writing Communications focus. Students enrolled in this program will be able to create portfolio-creating content while completing the program that can be used upon graduation to secure a career in communications, which will give them a strong edge on their professional competition. 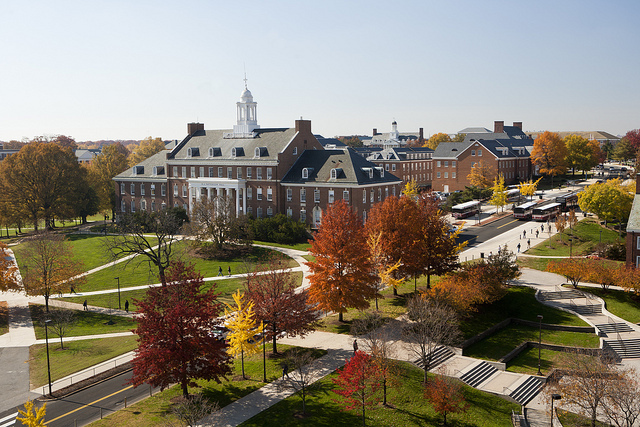 The Bachelor of Arts degree in Communications available at the University of Maryland is an online and fully asynchronous degree program that is completely accredited. This degree program was developed in conjunction with various area employers and offers a balance of theoretical knowledge and sophisticated communication skills. Students enrolled in this program will have the opportunity to learn how people create and utilize messages to generate meaning within and across a myriad of contexts, cultures, channels and media. The school’s multidisciplinary curriculum covers topics such as speech communication, mass communication, journalism, public relations, business writing and technical writing. The online Bachelor of Arts degree program in Communications offered through Arizona state is one of the cheapest per credit hour programs of such a high-caliber that is currently available for students to enroll in. This degree program is not only fully online, it is also fully asynchronous and accredited. Students enrolled in this course will be able to take high-quality and dynamic courses such as: Communication, Conflict and Negotiation, Gender and Communication, Persuasion and Social Influence and Communications in Professions. The programs relatively low cost per credit hour, high quality and rigor of the coursework and the program’s flexibility are the reasons Arizona State University’s online Bachelor of Arts degree program in Communications is our top pick.